Bengaluru based Saddam Hussein has been cleaning and taking care of Ram temple in the city for the past three years. 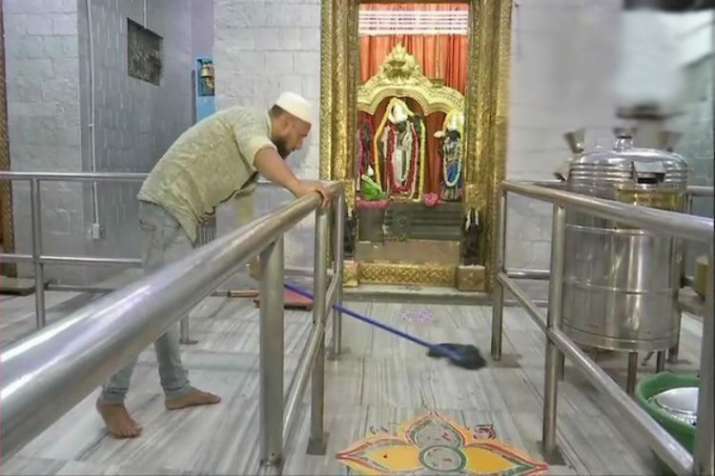 The 27-year-old Muslim man comes every year before Ram Navami and cleans the temple, giving us a great example of devotion with no boundaries. He says that he finds peace of mind while working at the Lord Ram' adobe.